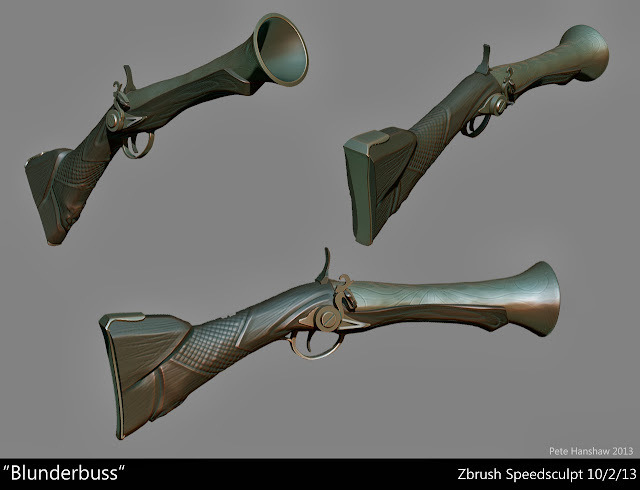 Pete Hanshaw: ZBrush Speedsculpt: Blunderbuss! Note my hour was up before I could complete the flintlock mechanism... so this thing is pretty harmless. So much for firepower!